The church celebrated the music of the old pipe organ with a festival service of songs and music on Sunday 3rd February. We sang hymns old and new from three different hymn books, from both the United Reformed and the Methodist tradi tions. The choir sang an anthem, and the organ played subtly under the prayers of intercession. We shared in communion together and also celebrated the 40th wedding anniversary with a blessing of the wedding vows of Jenny and Graham Revitt, whose family joined them for the special event. The old organ hs now been dismantled and is going to Poland, where it will be re-built with new wiring and new leathers, so that it will have a future in a church where the old organ would have been removed during the times under communist rule. We have asked the organ builders to put us in touch with the church once it is installed so that we can make contact with them and greet them. 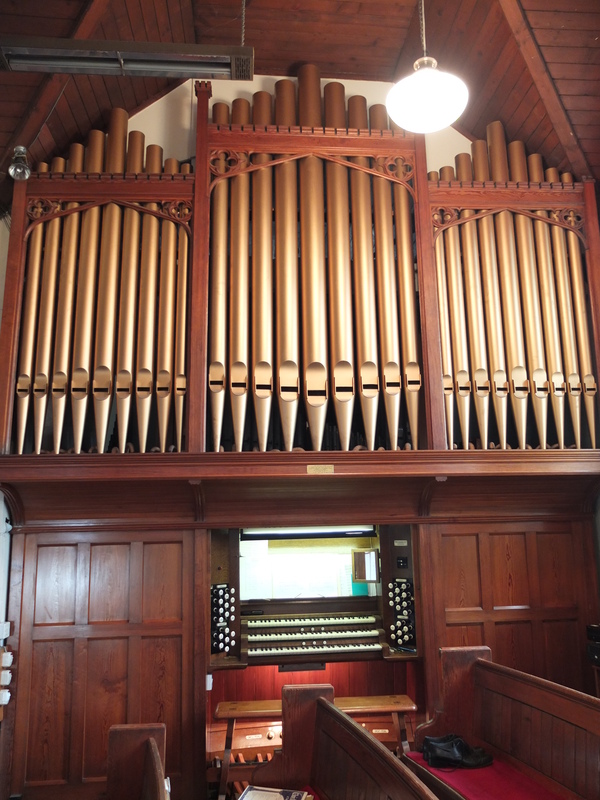 A deposit has been placed on the new organ and the organ builder has been invited to come as soon as possible to decide measurements and locations.